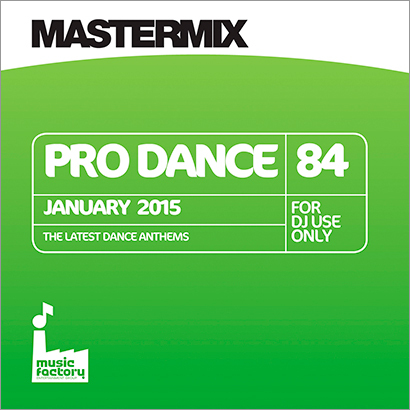 Mastermix Pro Dance 84 – Packed With Tracks! The January edition of Mastermix’s monthly Pro Dance release features 14 of the biggest commercial dance tracks and club mixes of big pop chart floor-fillers. Perfect for bar and club DJs, as well as mobile jocks who play for younger crowds, Pro Dance 84 features artistes as diverse as Take That and Luvbug. Pro Dance 84 is available now from Mastermix stockists around the country and can also be ordered directly from Mastermix on CD or as a digital download for £15.32.